High Peaks Pure Earth has translated a blogpost by Woeser written for Radio Free Asia on November 19, 2012 and posted on her blog on November 23, 2012. In this post, Woeser publishes an online discussion about the self-immolations in Tibet between her husband Wang Lixiong and an anonymous Tibetan friend. At the time of discussion in November 2012, the number of self-immolations was increasing. 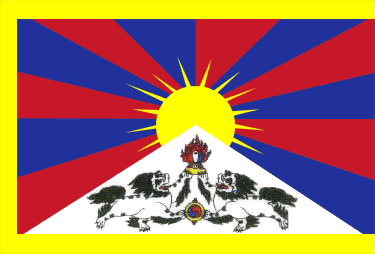 Alongside Woeser’s own blogposts, there are a number of online resources in English documenting the self-immolations such as International Campaign for Tibet’s self-immolations fact sheet, Free Tibet’s self-immolations list, and the consistently updated maps provided on the website Rangzen Alliance. For perspectives and analysis from the world of academia, in addition to the essays published in April 2012 in the special issue of academic journal Cultural Althropology, “Self-Immolation As Protest in Tibet”, the proceedings of the May 2012 Paris conference “Tibet is Burning. Self-Immolations: Ritual or Political Protest?” are also available online. High Peaks Pure Earth readers are encouraged to follow this link to the full list of contents (under Number 25, Décembre 2012) on http://www.digitalhimalaya.com/collections/journals/ret/index.php?selection=0. On November 8, 2012, Wang Lixiong and a Tibetan residing abroad engaged in a written dialogue online. He showed the content to me and, since they are good friends, the conversation was quite open and frank. Both have their own opinions and Wang Lixiong agreed to share this with more people. So below you find the dialogue between the two. The other person’s pseudonym used here is “Bodpa” (which means a Tibetan person in Tibetan). Wang Lixiong: Yesterday, once more 5 Tibetans self-immolated. Not sure if there are going to be any more today, there will probably be a few again. What are your views on the self-immolations? What do you think should be done? Bodpa: First of all, this is very predictable, I am no exception; every time I meet a so-called intellectual, we talk about what should and shouldn’t be done. I imagine that if someone is able to set his life on fire, this person will quite definitely know the value of doing so. If this person believes that this is the best way, what virtue or ability do we have to believe that we are higher than them and that our words are more important than theirs? When the first Tibetans started self-immolating, I also wanted to resist against it. But now that one after the other, including a Rinpoche and many persons of high virtue have been self-immolating, regardless of whether they acted rationally or out of emotions, I now find it very hard to talk about resisting or rather, resisting is no longer a wise choice. This is because our understanding of life can no longer reach the same level as their understanding of life. Between us and them there already exists a gap with regards to our knowledge and definition of the notions of living and life. However, with regards to the overall strategy of this battle I don’t think the self-immolations will have any major impact on or even change the negotiations and policies towards Tibet. Even if another thousand people sacrifice themselves, it will not change the essence of their strategy. More self-immolations will not bring about change. A real transformation of the overall strategy depends on changes on an international level or on a Chinese national level. Tibetans must be very clear about this point. Wang Lixiong: The former half of your argument is quite popular among intellectuals within Tibet and among the Tibetan exile community. This is probably the truth, but it is also an intentional or otherwise excuse for oneself to do nothing, becoming a means for self-comfort and to clear ones own conscience. Ok, those who died had a choice but this does not mean that those who live cannot have their own opinions and take their own actions; in fact, having no opinion is also an opinion, which will also have an effect because important figures’ responsibilities are to express their opinions and if they do not, it will always be taken as a kind of tacit approval and a tacit approval may be taken as a silent encouragement. People will think like this, they do not declare their own position because they cannot openly encourage self-immolations so doesn’t this show that these important figures deep down approve of the self-immolations? Even when the leader of the Central Tibetan Administration in Dharamsala clearly expressed disapproval of the self-immolations, because this was only done very briefly, it was understood as a necessary evil under the specific circumstances and believed that deep down he approved and thought of the self-immolations as necessary. As for the sentence “whether the self-immolations come to an end or not all depends on the CCP”, this statement is not fundamentally wrong but it can be understood from a different perspective, namely that if the CCP does not change, Tibetans must continue to fearlessly self-immolate. With regards to the latter half of your argument, I think you are more sensible than some people out there. After all, you used to live inside Tibet and so you know the situation there. The adoption of non-violent protests as it happened in the past – to use the experienced pain to appeal to the opponent’s conscience is ineffective when facing an autocratic power without freedom of press, independent law or civil society. However, putting the sensible latter part of your argument and the reasons for not being able to stop the self-immolations given in your first argument together, I feel that even though you may have your own logical reasoning, your argument cannot break away from some kind of absurd contradiction. 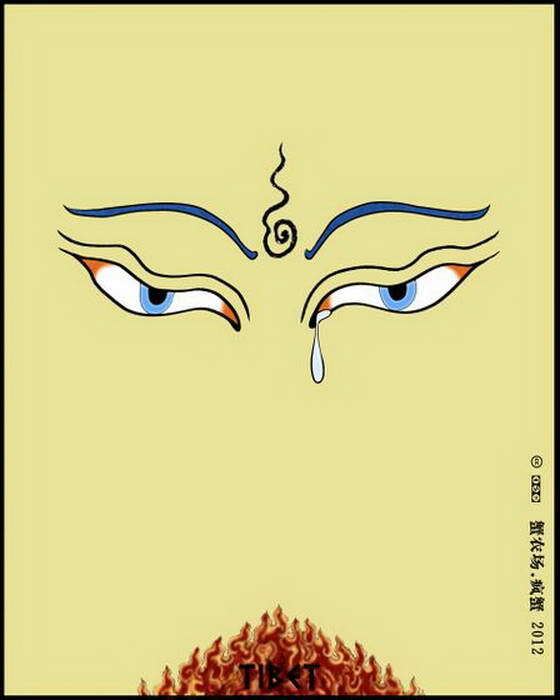 Bodpa: What I meant is that I will not try again to resist against the self-immolations. I do believe that one can do more when one is alive but if one of my close relatives prepares to self-immolate, if he really wants to do it, I will send him off. This is my opinion. It is not a matter of encouraging or not encouraging because when so many people fearlessly continue to self-immolate, I will reflect that perhaps my own way of thinking and my understanding and definition of life is different from theirs, so who is to give advice to whom? Bodpa: I am by no means arguing that we should not make comments or that we should not express our own opinions, on the contrary, I believe that we should do so more frequently. For me, my point of view is that since so many people keep setting their own bodies alight, I have no way of saying that they should not. I am trying everything to understand their feelings; I try to listen to and observe their innermost feelings rather than judge them from my own standpoint. The self-immolations have stirred up my emotions, it is not about some technological explanation or deciphering anymore, it has made me reflect on and think about some of our understandings regarding the increasing individualisation of, for example, life, meaning and value. Wang Lixiong: Isn’t this way of arguing a little specious, making things seem right when they are not? With regards to the self-immolations, there aren’t just two answers of “should” or “should not”. As an intellectual of an ethnic group, one has to leave the “should and should not” and reflect on and discuss in the large space in between this “should and should not”. Self-immolations are not simply empty and blind religious acts, they have a goal, as many of the words left by the deceased have revealed. Self-immolators want Tibetan independence and the Dalai Lama to return home. So how do we manage to realise this goal, isn’t that the question that we should really think about?! Ordinary people can only use death as an effective way and if intellectuals and leaders just stand there and watch or even hope that the increasing number of deaths will help them reach their goal, then they fail to fulfil their obligations and are even guilty of an offence. What are the functions of intellectuals and leaders? Isn’t it to provide guidance and wisdom? They cannot just ponder over meanings behind ordinary people’s backs or orally express their understanding, what kind of wisdom lies in that? What is point of that? No one needs you to do this! Showing wisdom means finding a way, it means guiding a group, guiding the people towards the path that leads to the realisation of the final goal; it is about achieving the most with the least sacrifice. It is precisely with regards to this that the leaders of the exile community have not taken on the role they should. Since they claim to represent 6 million Tibetans, seeing one by one sacrificing themselves in such a cruel way, isn’t this showing us what kind of leaders you are? If you only state, “whether the self-immolations come to an end or not all depends on the CCP” and if it is left at that, it is unavoidable that people think that the self-immolations have become a bargaining-chip. Wang Lixiong: I agree with way you reflect on this. But you said earlier on, “If one of my close relatives prepares to self-immolate, if he really wants to do it, I will send him off,” to be honest, this sentence makes me feel frightened, I hope this was only a way to express your opinion and that you will not really do this. Bodpa: I really do believe this. Perhaps one day, when I myself think that this is a choice, I will also self-immolate. This is perhaps where we have different understandings of death. Wang Lixiong: By saying that you would do this yourself, compared to those who only stand there and count the deaths, while thinking that after the self-immolations have reached 2000 they will lead to some results, to me you are a hero. Bodpa: Sometimes, being alive is not easier than dying. Wang Lixiong: I think that even though you perhaps really mean this, but the death one dies when self-immolating, when the flames burn every inch of your skin, every single cell of life, this death is definitely not easier than being alive. Bodpa: Many people just cannot understand the suffering of this ethnic group, this deep bitterness and pain. Wang Lixiong: Maybe you think of me like that. I hope that what I said to you will not be understood as sarcasm coming from someone from Beijing – “I really do not take myself as an outsider”.